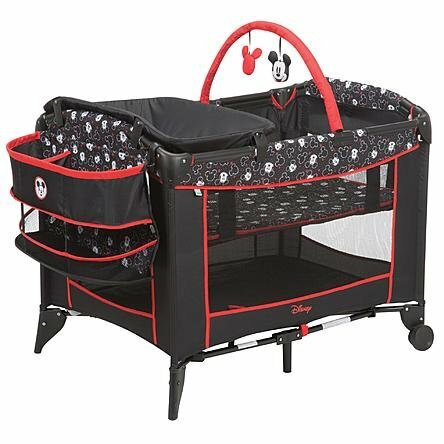 This Disney Constellation Sweet Wonders Play Yard is truly an all-in-one home or travel solution for your baby. The newborn cradles baby in softness and features breathable mesh for better viewing, while the large-area play pen is perfect for older infants or toddlers. Convenient side organizers on this handy play yard keeps diapers, wipes and other essentials within easy reach.